A shooting at a college campus in Georgia left one person wounded and temporarily put the school on lockdown Monday afternoon, officials said. The Richmond County Sheriff's Office responded to a call of shots fired at Paine College in Augusta, Ga., at about 1 p.m. ET. Upon arrival, deputies met with several witnesses and one victim who sustained a non-life threatening injury. The victim, who was alert and conscious, was transported to Georgia Regents University Hospital for medical treatment, officials said. Campus is closed and on lockdown! The shooter was still at large so the school was locked down, and people were told to steer clear of nearby streets, according to the sheriff's office. 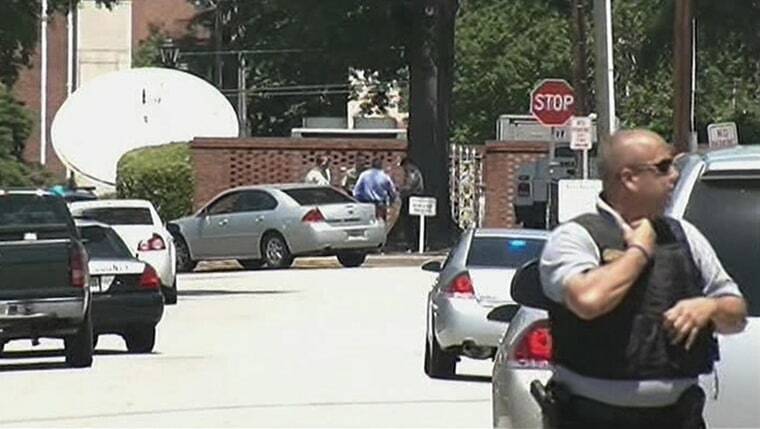 According to local NBC affiliate WAGT, other locations, including a high school a middle school and an elementary school, were all on soft lockdown. At about 3:45 p.m. ET, the lockdown was lifted, but campus security officials wouldn't give any information about whether or not there was a suspect in custody. It was unclear whether the incident was related to a shooting that took place on Sunday at the campus. In a statement, Paine College officials said the shooting on Sunday "involved non-Paine College students" who discharged a firearm in a male dorm. Police are investigating.